This is huge!!! If you haven’t seen it yet, take a look at the open letter sent to Apple by two of its shareholders that together own $2 billion in value of shares, JANA Partners LLC and the California State Teachers Retirement System. 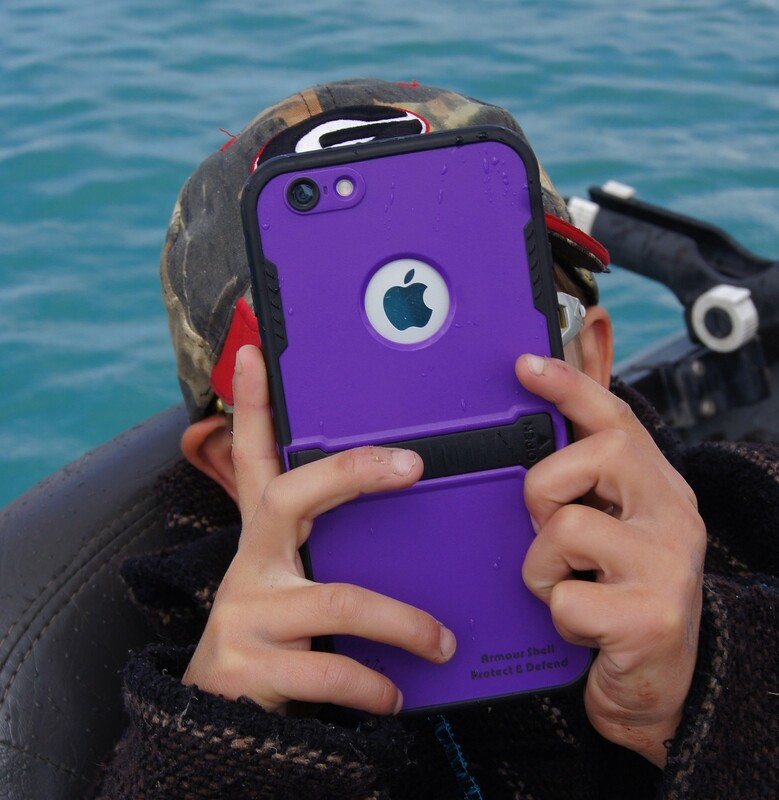 In this letter they suggest that Apple should do more to curb growing smartphone addiction among children. Highlighting the increasing concern about the effects of screens as well as social media on the young generation. Steve Jobs was once quoted on technology usage with his kids “We limit how much technology our kids use at home”. I am thrilled to see his values catching up with the product. I am in the business of parental control and balancing screen time since my kids started using their screens more extensively, offering solutions and talking about this issue, hoping one day the big players will incorporate those capabilities in their product. This day is finally here. The change started a few month ago, when Google launched Family link a parental control software for Android devices. Hopefully, this letter will continue the change, as this is the wave we were all been hoping for. In the letter, Shareholders raised a few concerns that I would like to adress. I call them the 3Ss. School, Sleep, and Social Media. School — the letter mentions a study result where the use of technology in the classroom creates a negative destruction to the students. “75% say students’ ability to focus on educational tasks has decreased”. So if kids can’t focus on a task, how can we learn in class or finish an assignment? I would add to that, technology is affecting the way our kids learn in school, do homework. Experts also found that too much technology use can and may even affect and lower their grades. Sleep — meaning sleep deprivation due to technology usage: “teens who spend 5 or more hours a day (versus less than 1) on electronic devices are 51% more likely to get less than 7 hours of sleep (versus the recommended 9). Sleep deprivation is linked to long-term issues like weight gain and high blood pressure.”. We all need to sleep, kids and teens even more. The 3S are a lot to manage for any parent. This is a battle parents fight for a while, and only have access to a few select third party resources. They are called parental control. They are available in every app store, and give parents the option to balance technology usage with their kids. However, with every change of the device’s operating system (for example the update from iOS 10 to 11) those solutions may become irrelevant and will need an adjustment, i.e a software update on the third part side and an app update on the consumer side. To top that, they are limited to Apple’s limitation of what can and cannot be done. On the flip side, Apple currently offers users limited parental control capabilities via Family Sharing, where one of its functions is to allows parents to monitors the apps installed on the kids’ devices, i.e approve (or not) the apps kids are downloading. Just a thought….What if Apple enhance those solutions in its built in parental control, expand the Family program. While this is suggested in the letter, I strongly agree that the phone should be required with an age appropriate setting. That will provide additional opportunities to monitor installation of apps that are age appropriate. If Facebook and Instagram require a minimum age of 13, this should motivate the devices to follow suit. The device should also allow a setting as an extension of do not disturb, allowing parents to set do not disturb for their kids overriding their urge to play a game or text with their friends. For example: school time and/or sleep time — the phones will not allow gaming and social media usage during school hours and sleep time. By adding these two capabilities, we are able to improve our children’s well-being dramatically, we provide a solution to the 2Ss, and Apple becomes the pioneer in the market by keeping our children’s well-being in mind with the development of their products. Social Media, the 3rd S in the letter is more problematic. They quote a study done on 8th graders that shows children with heavy use of social media are at a higher risk of depression. Adding to that a survey result for parents where 58% of them say they worry about the influence of social media on their child’s physical and mental health. I am in complete agreement here. Social media is linked to our mental well-being, both for kids and adults, and it should be addressed immediately. However, as much as I would like to have Apple balance social media usage, block playing Minecraft, 2024, and saving the world is not realistic. Any social media application (facebook, twitter ,instagram, musical.ly, snapchat, Hype, etc) is an app installed on the iPhone downloaded on the app store. It is a software done by a third party, not Apple, using Apple platform to get us and our kids to download and use it. There is nothing Apple can do to block it. Yes, Apple can be the pioneer in the market of our well-being, and yes I will buy more of Apple product knowing that. However, unless social media will be limited to adults, the responsibility of limiting the use of social media (or any other video game or app) is on us parents (my tips for parents is a huge topic and I will cover it in a later post, so please stay tuned). I am so thrilled Apple is joining the mission of balancing screen time, and I am looking forward to see their actions resulting this letter. With or without addressing social media, this is a huge step for us all. I Love The Smell of Change in The Air — Congrats Google on Their Release of Family Link!